Agriculture Minister visits moshav where Arab thieves stole over 25 tons of produce, says State must act to stop illegal infiltration. 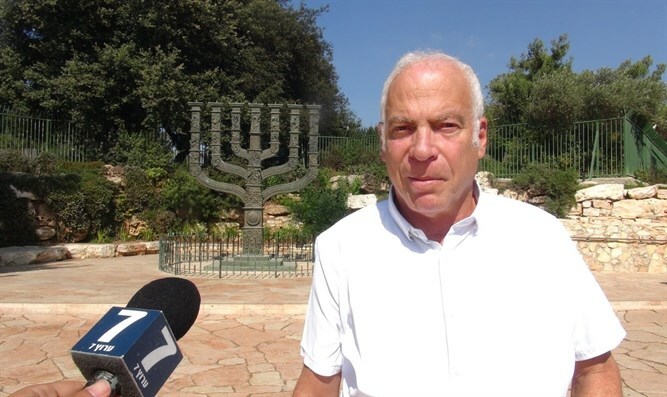 Agriculture Minister Uri Ariel (Jewish Home) visited Moshav Shekaf in south-central Wednesday and met with the farmers who were affected by the massive agricultural theft which occurred last Friday, when Arabs from Judea and Samaria stole over 25 tons of produce from the agricultural village. In addition to the large amount of produce which was stolen, the suspects damaged the greenhouses and agricultural property. Investigators believe this damage was carried out with intent in order to cause destruction and greater damage. The farmers will receive compensation for the theft and damage from the Israeli property tax. An inspector arrived Wednesday to assess the damage and the amount of compensation due. Following his visit, Minister Airel told Arutz Sheva that "in order to eradicate the phenomenon of agricultural thefts, I turned to the Justice Minister, the Internal Security Minister, and the Deputy Defense Minister, to block the water crossings and to complete the fence to prevent Palestinian infiltration, and to bring the matter up for legislation so as to make things worse for the infiltrators." "The State of Israel cares about its farmers and the Agriculture Ministry is making efforts to encourage young farmers to enter the industry. We have zero tolerance for acts of agricultural terrorism, which can endanger human life. I called for an urgent meeting with the Justice Minister and the Internal security Minister in order to improve the safety of the farmers," he said.